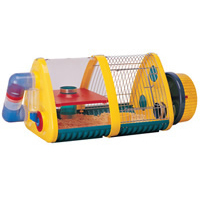 Rotastak Cages provide a complete living environment for your Hamster, Gerbil or Mouse. 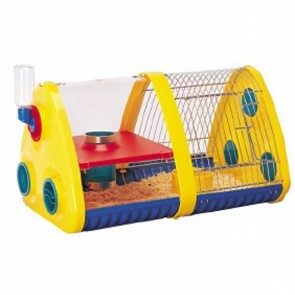 The wide variety of rotastak tubes, tunnels, extension units & accessories allow you to build a rotastak hamster cage, that helps to stimulate their natural living conditions and provide them with hours of fun and entertainment. Rotastak allows you to build a complete and extendable world for your hamster, gerbil or mouse, by joining together the various homes, extensions and accessories in any combination you choose, the system can grow with your imagination. Rotastak allows you to build a complete and extendable world for your hamster, gerbil or mouse, by joining together the various homes, extensions and accessories in any combination you choose, the system can grow with your imagination. The Rotastak Range is both flexible & fun, keeping your pet exercised and amused with an endless variety of new tunnels, mazes & activities, just look at the other rotastak pages on this website: Rotastak Maxi Units, Rotastak Extension Units, Rotastak Accessories. Rotastak pod cages: 5 stars out of 5 based on 12 user reviews. Product as described. Posted via Royal Mail. No problems. Product was very well wrapped with very quick delivery and product was very good value, together with free delivery which was a bonus! Excellent service. Reasonable price on item, free delivery much appreciated. Arrived quickly in great condition. Excellent, the product is great for the hamster he has so much room to run about in. The adventure zone we brought is easy to assemble, easy to isolate the sections so cleaning isn't an issue at all. Quick delivery, good quality and great price!